The superior and unique finish will allow your daughter to throw the incredible impression in any party whenever they wear this Princess moana inspired jewelry with their apparels and the crowd wouldn't be able to stop themselves from noticing it and complimenting your daughter about its appealing gesture. So don't wait for the perfect moment to buy this elegant Moana Jewelry for kids, just have it make your daughter's every single moment memorable and outstanding. BlingSoul jewelries provide you an excellent way to show your love for your daughter to give her an outstanding look in any special day. This moana maui merchandise is made up of top quality material which is sturdy, comfortable and easy to wear. Best for cosplays, Halloween, Christmas and parties. BlingSoul where you gets more than you expect! ✔ moana necklace pendant has high quality material - Comes in a soft velvet pouch for its safety. 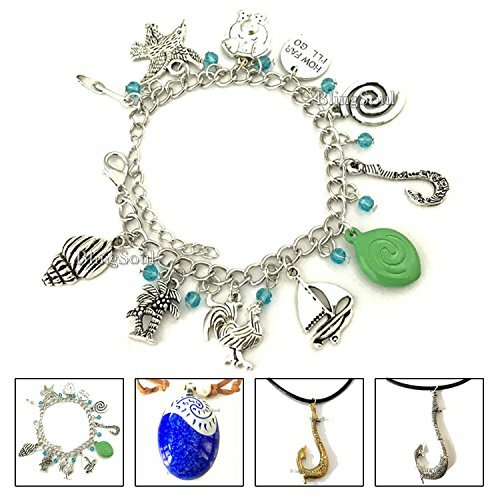 ✔ Amazing moana maui necklace that can give stunning look to any girl. ✔ Priceless present for yourself and for female friends. ✔ This stylish Maui moana cosplay costume jewelry piece can be added in your Moana jewelry box for amazing collection. ✔ Color: Brown, blue and white. 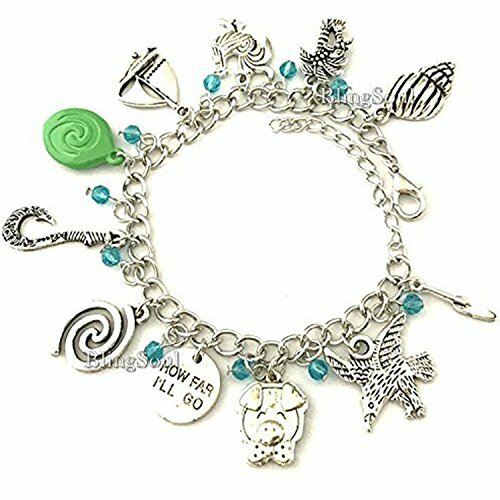 ✔This Moana themed charm bracelet contain 11 different charms that represent the story of a teenage girl. 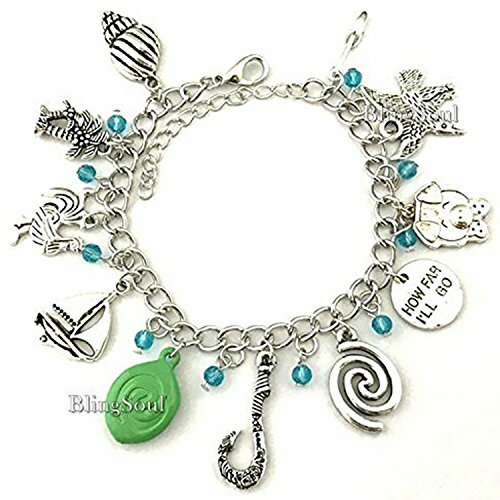 ✔Comes in a link chain lobster, long enough that it can fit to every wrist size. ✔It's the cutest thing. 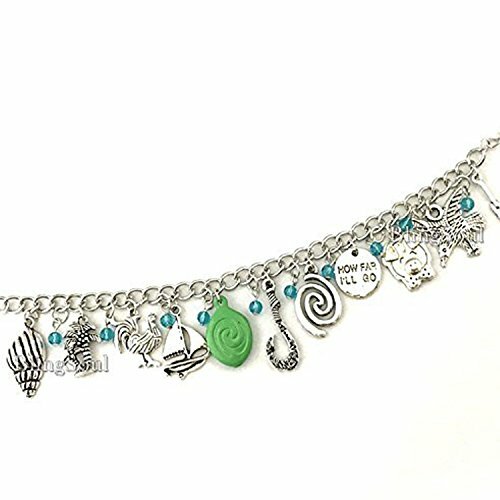 The blue beads in between each charm is a brilliant touch. ✔perfect gift for the Maui Moana fan and all the fashion forward people who love to look stunning and outstanding. 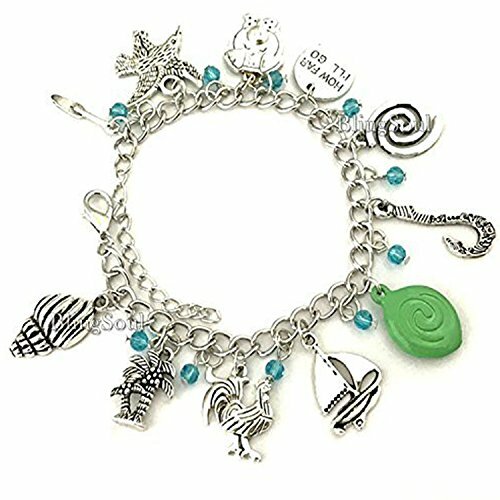 ✔You can also wear this as bracelet with any of your outfit. Perfect for Moana costume.